World Oceans Day will return this Friday, June 8th. Begun in 2002 by The Ocean Project and The World Ocean Network, World Oceans Day has been successful in coordinating the public awareness efforts of hundreds of ocean conservation organizations, zoos and aquariums, schools and local communities. "A record number of aquariums, zoos, and museums are providing ways on World Oceans Day for their visitors to get inspired and take personal action to help our world's ocean," said Bill Mott, director of The Ocean Project. “World Oceans Day provides an opportunity for people across the country and around the world to celebrate our ocean connections, do more for ocean conservation, and learn more about our ocean!" From large scale events, such as WildAid working together with theBlu.com, to local beach cleanups in communities as diverse as Arcata along the northern coast of California to villages in the Marshall islands, there will be a variety of events and activities taking place across the globe that people will be able to participate in person or online. Check in with any of your favorite ocean conservation groups to see what's scheduled or you can also visit the World Oceans Day website to find out what might be taking place near you. The theme for this year's World Oceans Day is "Youth: the Next Wave for Change." That might seem like a catchy slogan for some political election, but it represents a fact supported by public opinion research (Read about The Ocean Project's research conducted via a survey to over 30,000 Americans). The youth have a greater interest and concern than most adults over the health of the oceans, pollution, and climate change. They also have a higher belief in their ability to address these problems, and their parents recognize that their children often have a greater knowledge as to the ins and outs of these issues. Adults may chalk it up to naivete or youthful hubris, but let's hope that their enthusiasm never becomes jaded in the face of the enormity or the complexity of the challenges we face. Public awareness is an important tool in any environmental, social or political movement. But compared to quantifiable measures like legislation or other policy-making moves, it can seem much less powerful - unless it can be coordinated and unified. A single voice calling out in the wilderness is not as effective as a chorus of voices. 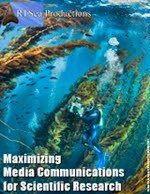 World Oceans Day tries to bring together as many voices as possible and, in so doing, embolden people to take action and, through their actions, put policy makers on notice that the future health of the oceans is more than just another item on a agenda; it is a critical investment in our future as a species. Welcome to the RTSea Blog! 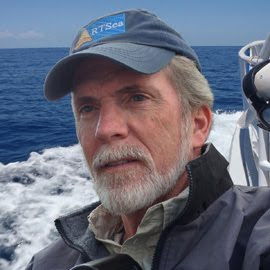 The RTSea Blog was started in 2008 and now includes over 950 entries available for media or academic background research use, including observations on a wide range of topical issues and events involving the oceans, sharks, and nature in general. After a brief break in 2012-13, there will now be more posts forthcoming. Use keywords in the Search tool below or at the bottom of this web page to locate articles of interest. Cinematographer/media consultant & producer Richard Theiss and RTSea Media administers this blog with the intent that information will be disseminated across the Internet and, in so doing, will illuminate others as to the serious challenges that lay before us in preserving and protecting our natural resources. Available for HD video assignments, media consulting, and speaking engagements. For contact information, click on the image above. Global Tiger Day: have you hugged your big cat today? Click here to download PDF brochure. DVD on sale now! Click image above.